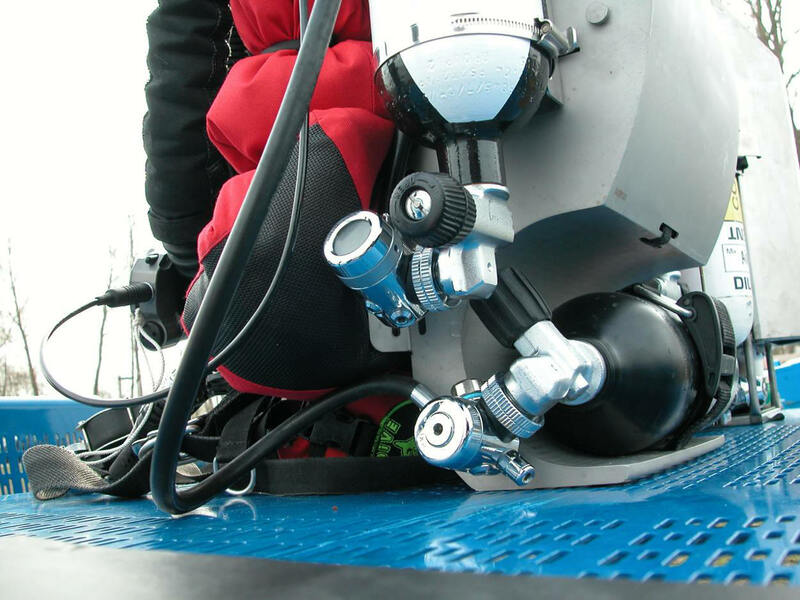 Introduction: During the last years a in some ways new form of rebreather diving has been introduced. MCCR diving (manual controlled closed circuit diving) is a fast growing group in the rebreather diving community. 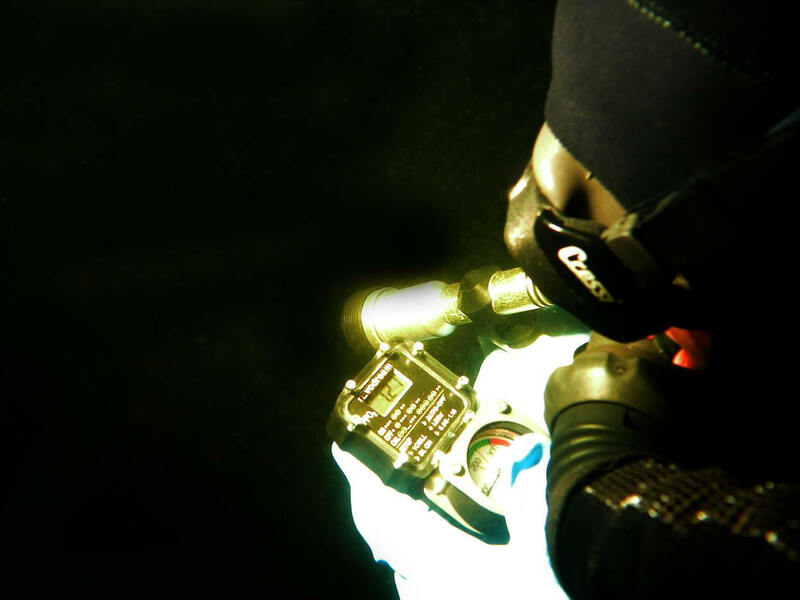 The technique is very old, but new technology enables the diver to know the partial oxygen pressure and automatically replace the gas he has consumed. 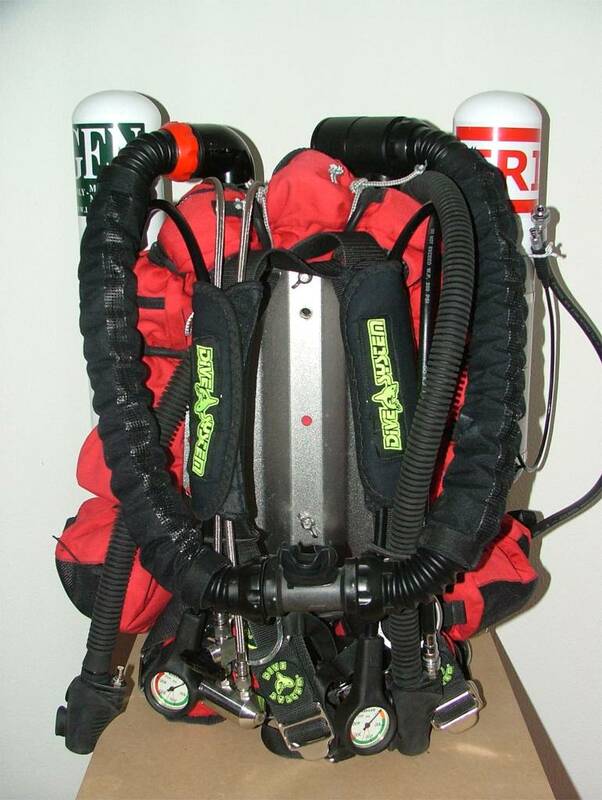 During the last years a in some ways new form of rebreather diving has been introduced. MCCR diving (manual controlled closed circuit diving) is a fast growing group in the rebreather diving community. 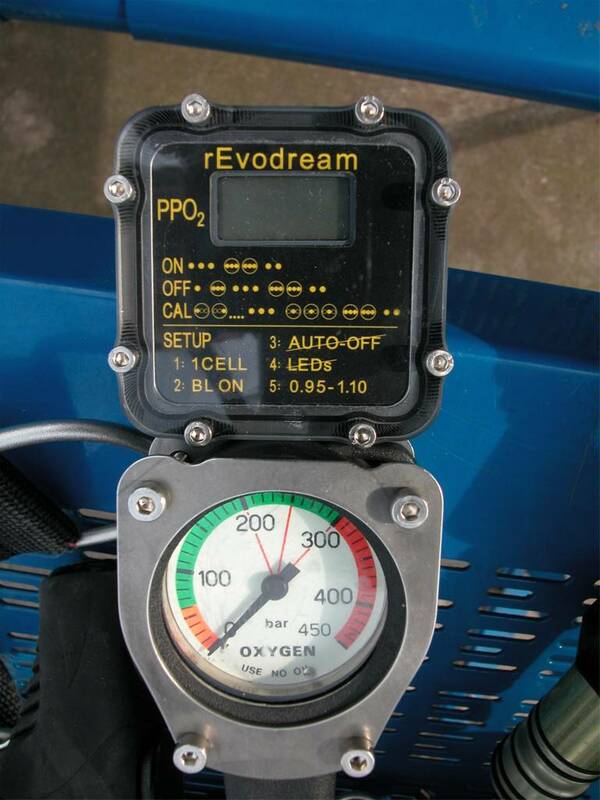 The technique is very old, but new technology enables the diver to know the partial oxygen pressure and automatically replace the gas he has consumed. The principle is very simple, you just need to know some basics to understand how it works. Understanding the working principle does not mean you are able to dive such a unit! 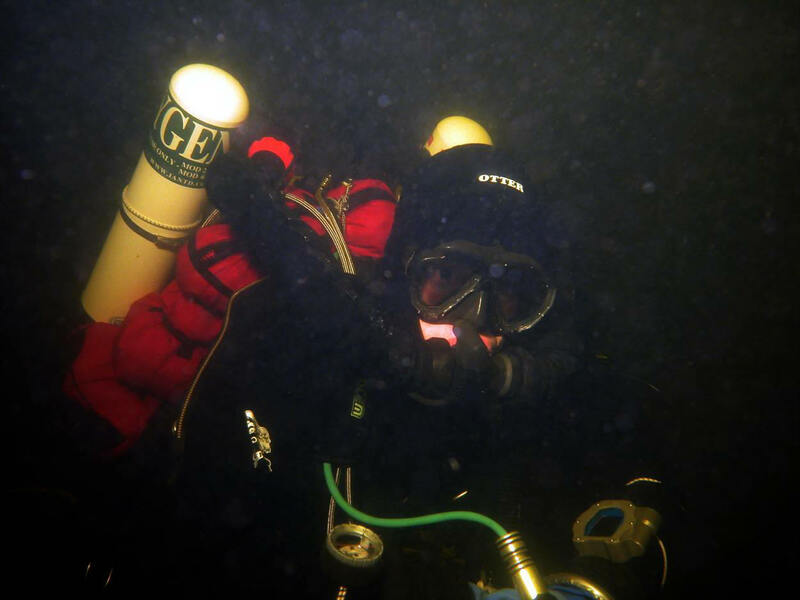 To dive a MCCR you need a closed circuit rebreather training. 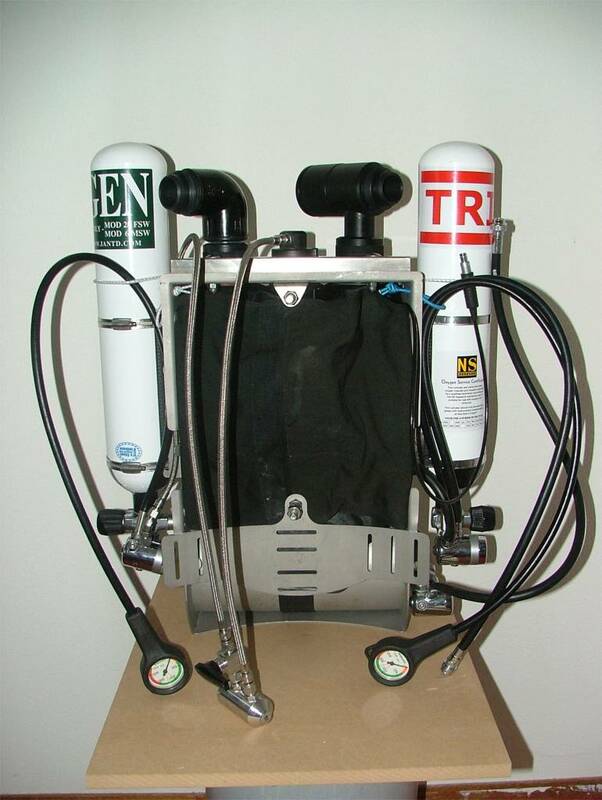 Most aspects that are important for diving a MCCR unit are identical to ECCR (electronic closed circuit rebreather diving). Unfortunately most MCCR divers are educated in diving semi-closed rebreathers, so they should follow a closed circuit training! Since such a training is hard to find (Kiss is in fact the only rebreather that could be compared) the diver has to study closed circuit principles intensively! I hope a specialised training for MCCR will become available. 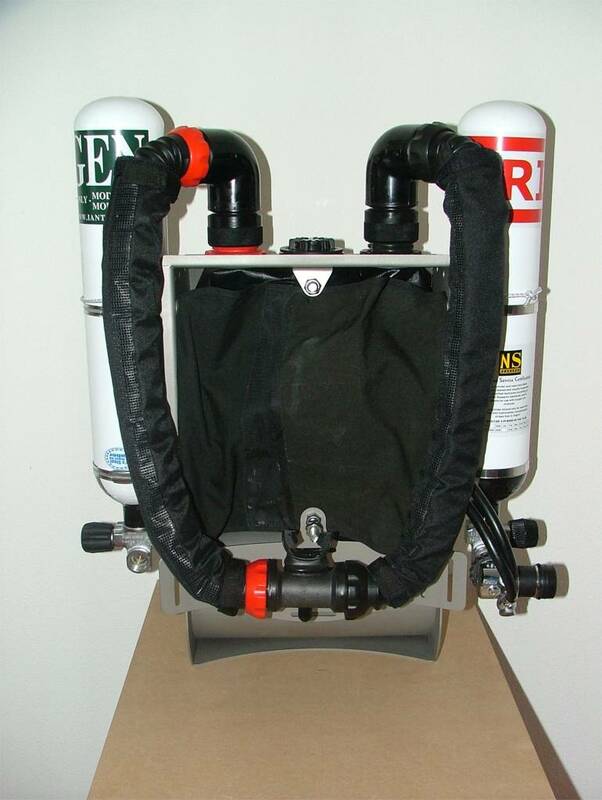 I wrote this article to explain the way MCCR works and is intended for divers who are not familiar with this rebreather principle. 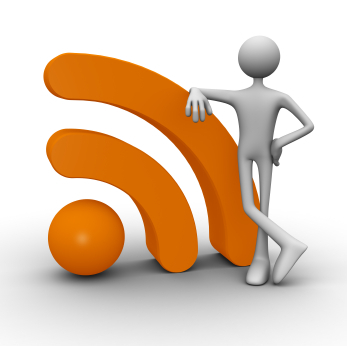 This article cannot replace a proper training, and is purely informative! At the end of this article you can find pictures of a MCCR unit made by Remco Neuteboom. OK, here we start. When we want to breath under water we need gas that contains oxygen. When we want to breath in a closed circuit modus (rebreather) we need counter lungs as a depot for the gas to be stored when exhaled. 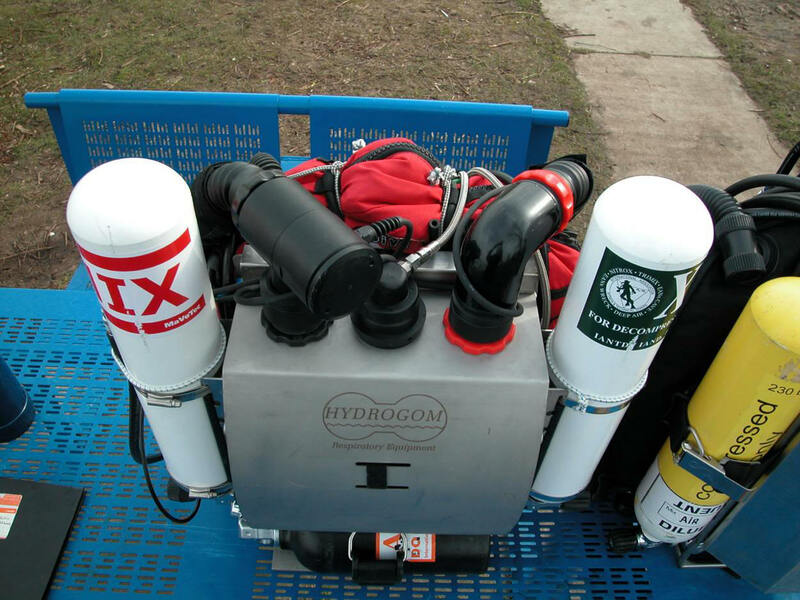 We prefer to breath gas with a high percentage of oxygen because then we breathe little nitrogen or trimix. Due to the fact oxygen poisoning (as a result of high oxygen pressure (hyperoxia) occurs at a partial pressure of 1.6 bar absolute*, we choose a maximum pressure of oxygen of 1.3 bar (1.2 is commonly used as well). (*the risk of a CNS toxicity seizure becomes generally unacceptable at ppO2 above 1.6)The composition of the gas depends on the depth. Suppose we allow a partial oxygen pressure of 1.3 bar on all depths. We need another gas to get the right composition. 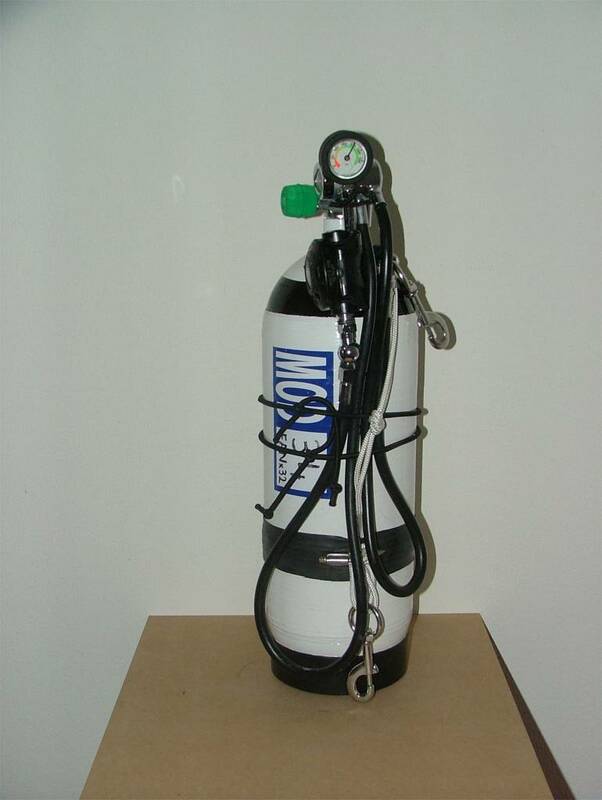 Suppose we are willing to suffer a nitrogen narcosis similar to breathing air at 40 meters. We are exposed to 5 x 0.78 = 3.9 bar of N2. So if we allow 1.3 bar of oxygen in the mix and 3.9 bar of nitrogen the total pressure is 5.2 bar, which equals to a diving depth of 42 meters.When we want to go deeper we need to add an extra component to the diluent, usually helium. In that way we breath trimix. 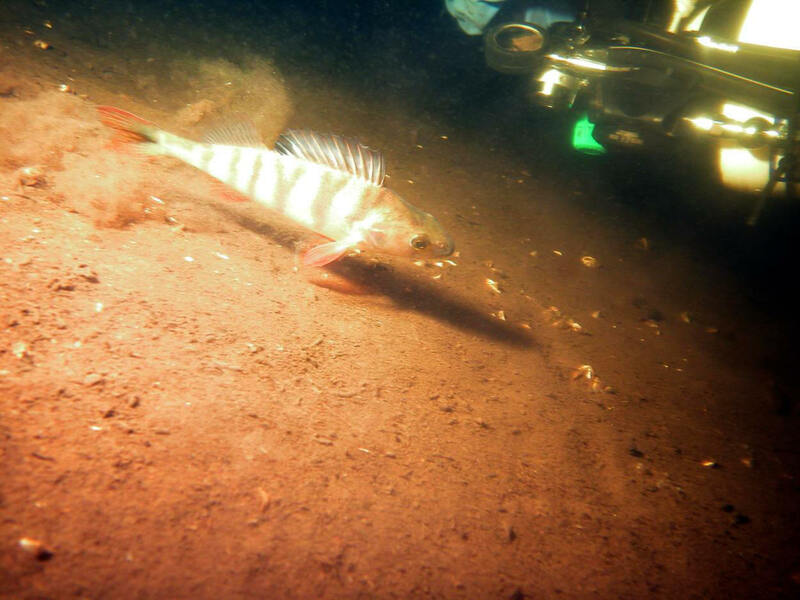 Another example: we want to dive 60 meters deep. We need 7 bar in the breathing loop. 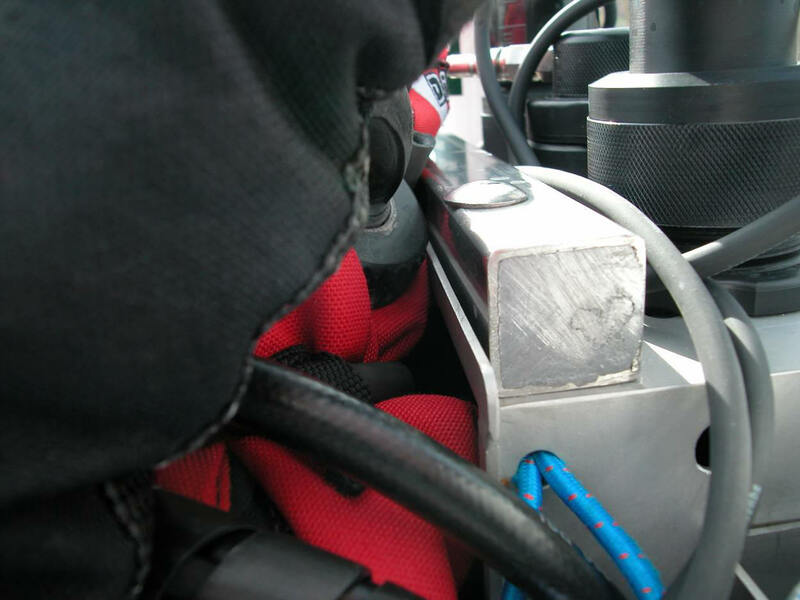 We have been selecting 1.2 bar maximum oxygen pressure as a setpoint. This pressure is achieved by adding pure oxygen from the oxygen bottle and has nothing to do with the diluent composition. The diluent is added only for diluting the gas mix. 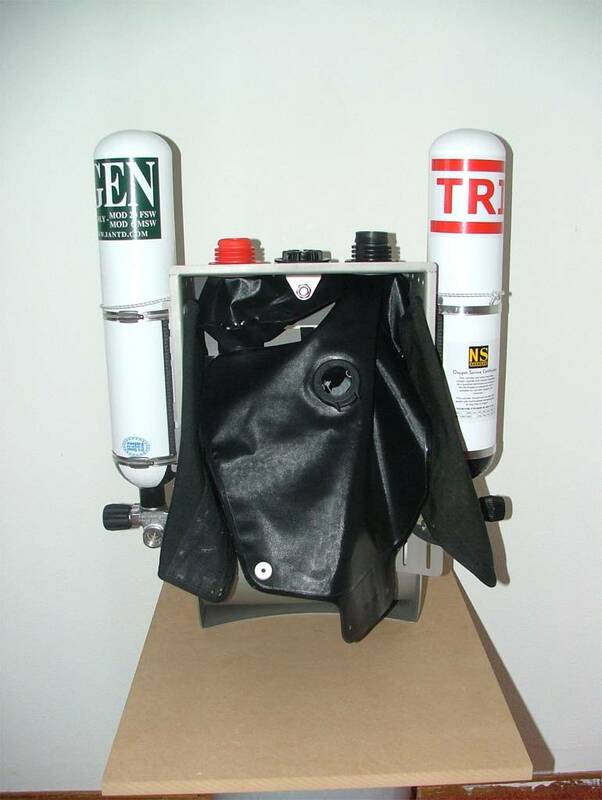 The diluent composition is based on following factors: A) the composition of the diluent must be so that it is breathable (at target depth) when a bail out regulator connected to this diluent is used. Usually the size of the diluent bottle does not satisfy, so additional bailout cylinders are inevitable. 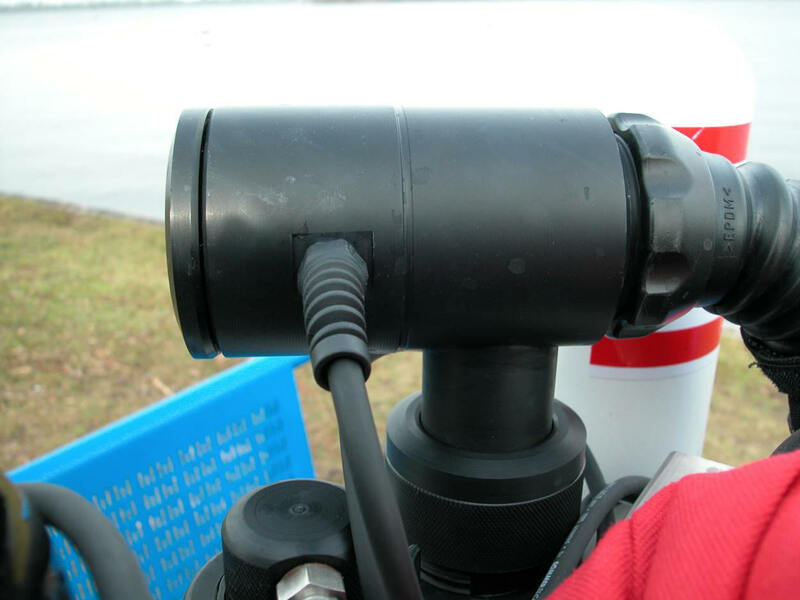 The maximum allowable pO2 (in open circuit modus) of this trimix is 1.0 at target depth. 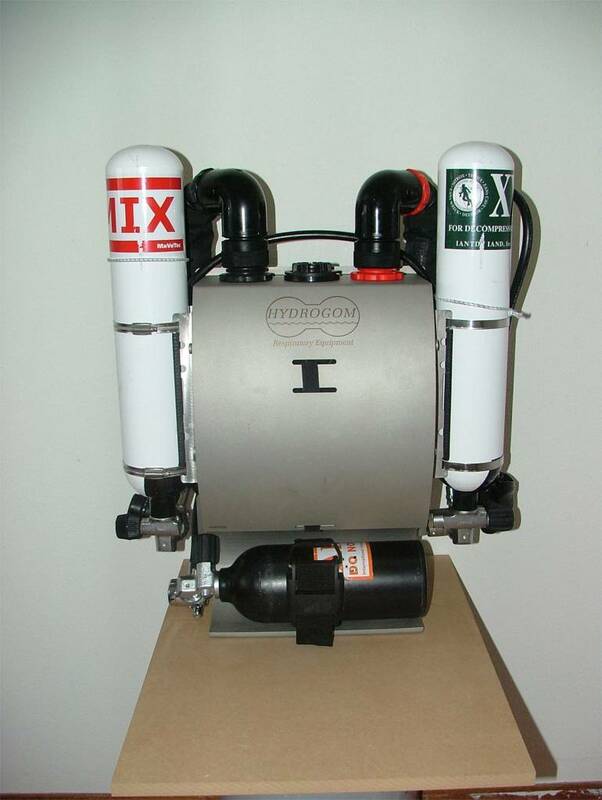 We could choose 1.6 as a maximum, but we would not be able to flush down a high oxygen content in the loop!1.0/7 = 0.14 = 14 % Oxygen (not normoxic, meaning a gas that cannot be breathed at the surface, and we need to carry travel gas!) B) We choose 35 meters equivalent air depth in that way adding 4.5 bar x 0.79 = 3.56 bar nitrogen. 3.56/7 = 0.508 = 50.8% Nitrogen C) As a result of the 14% Oxygen and 50.8 Nitrogen (50%) the rest is 36 % He In this way we choose for a Diluent of TX 14/36 (O2/He)Let's continue with the MCCR principle. The human body consumes about 0.8-1.0 liter of oxygen per minute. I Suppose for this example we use 0.8 l/min. The rest of the gas is not used but some of it dissolves in the body. The human body produces waste gas in return that we call carbon dioxide. 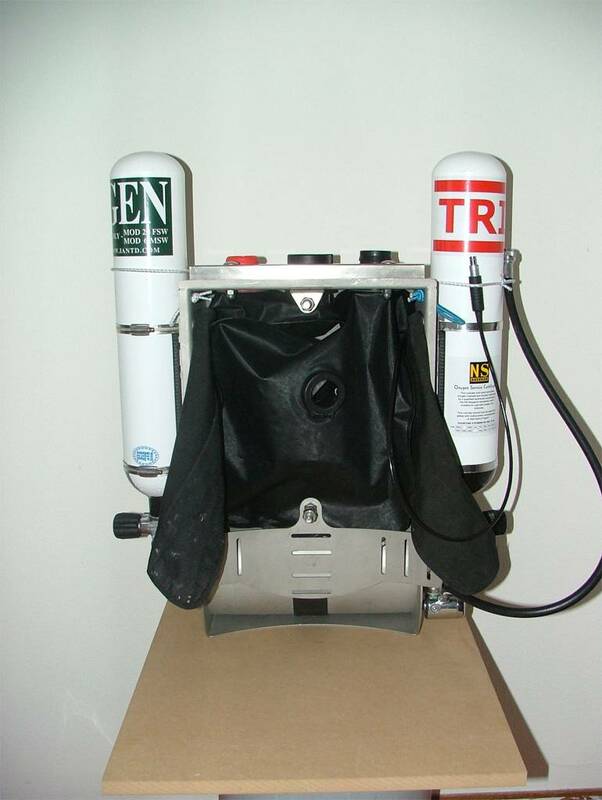 Normally in standard open circuit diving systems the waste gas and nitrogen is lost when exhaling. Suppose we recycle this gas. Imagine a system that reacts with the produced carbon dioxide. This system is on the market for about 150 years. Such system we call a scrubber. The exhaled gas is lead through this scrubber and carbon dioxide is chemically bound by the Absorbent. The gas has almost the same composition as before we first inhaled. The only thing that is missing is the consumed oxygen. Since this is about 0.8 liter we have to add this 0.8 liter per minute. 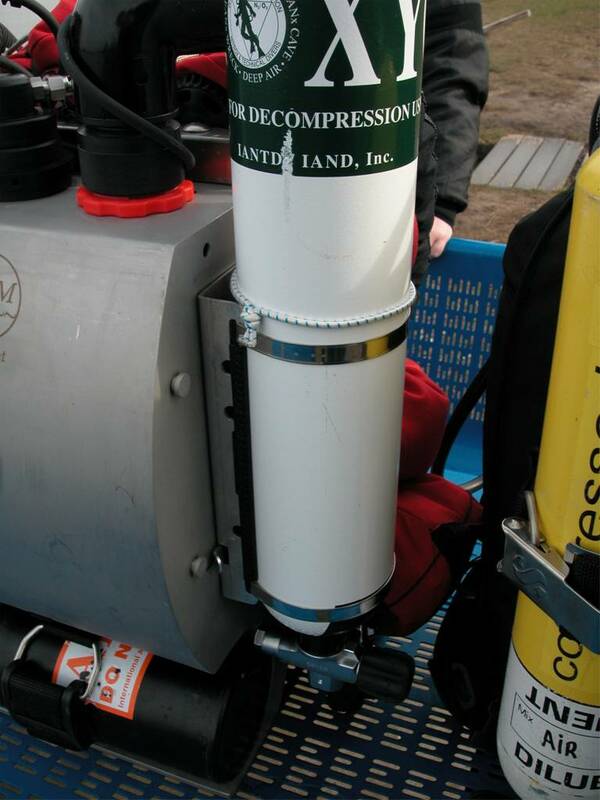 With a MCCR rebreather we use a special valve we call constant mass flow valve. This valve has two functions. The main function is to add 0.8 liter of oxygen each minute. 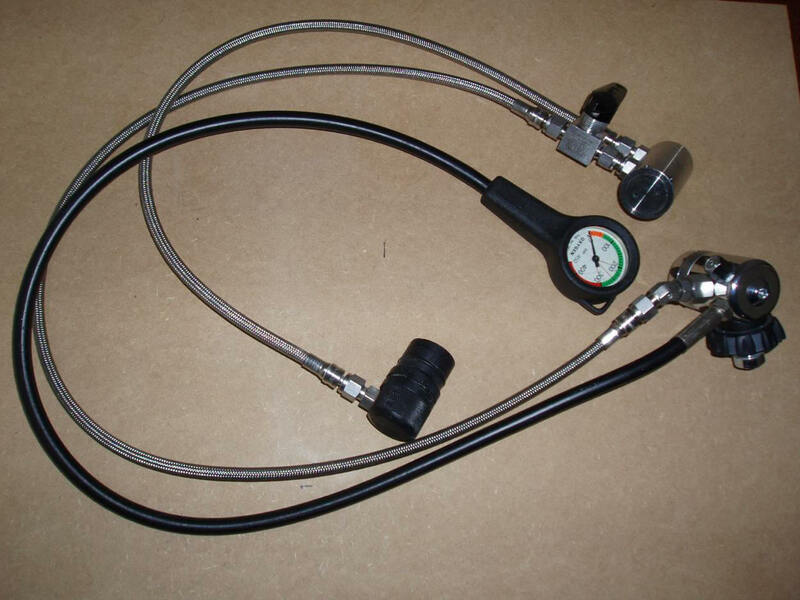 The second function is to add much more oxygen manually by pressing a button. 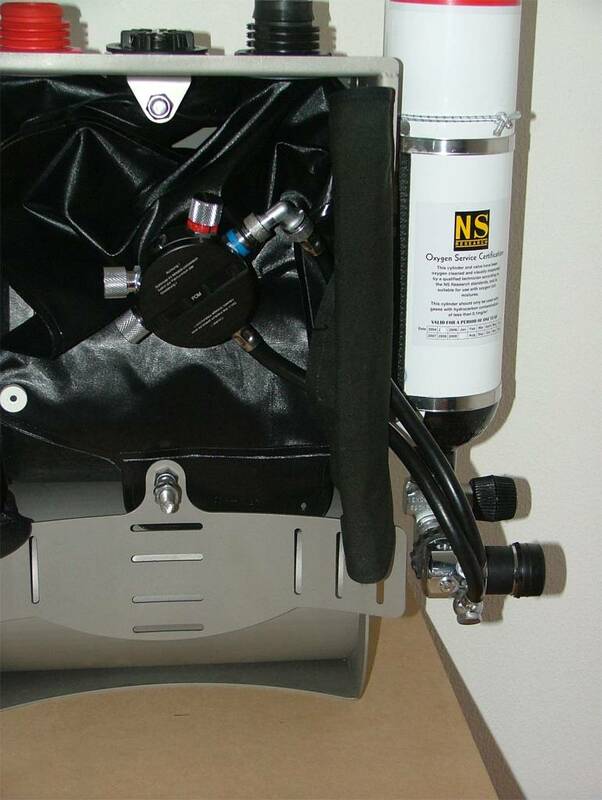 The manual valve gives a flow of about 30 – 60 liter pure oxygen per minute. OK, suppose we start a dive. The diver dives to a depth of 30 meter and continues to add oxygen manually in such a way that the oxygen pressure is close to 1.3 bar. He breathes in a closed loop that is equipped with a measuring device that tells him what the partial pressure of oxygen is (in bar). 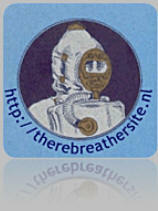 When the diver arrives at the target depth of 30 meters he is still consuming 0.8 liter oxygen per minute. Please realise that oxygen consumption is not related to depth! The human body has a oxygen consumption that is related to metabolic oxygen consumption. When working hard under water, oxygen consumption will increase. During normal swimming 0.8 l/min will be a realistic oxygen consumption. The valve compensates the consumed oxygen by adding the same mass each minute. 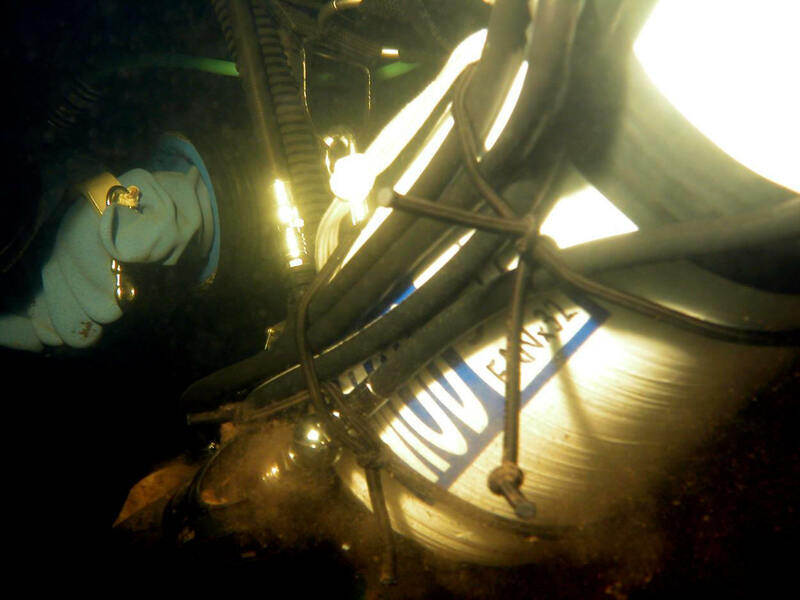 The produced carbon dioxide by the diver is chemically absorbed in the scrubber. 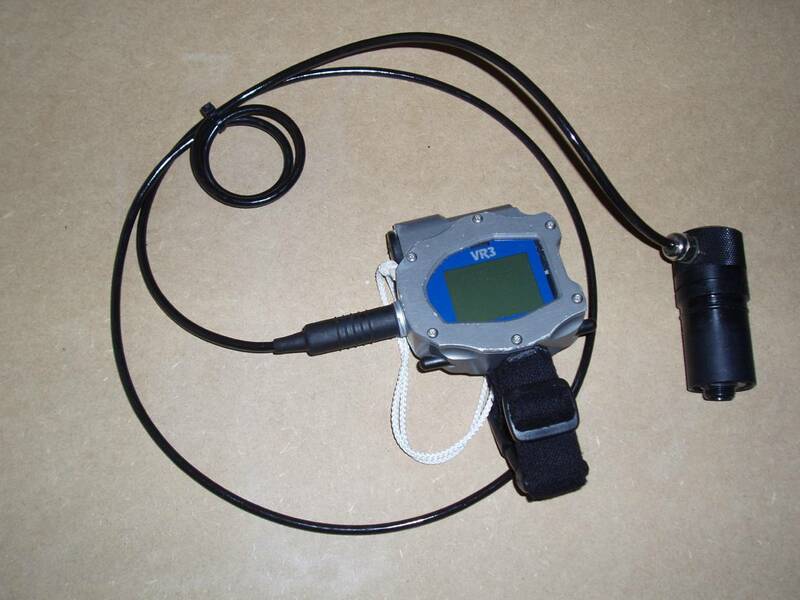 The diver is capable of keeping his set point (the value that is chosen to breath) on 1.3 by frequently adding a little oxygen manually each 10 - 15 minutes. When he works a little harder he will see that the setpoint slowly drops and he needs to manually add some extra oxygen. By just pressing the button for a second he adds a little oxygen until his readout is 1.3 bar again. OK, now how long are you able to dive this system? When we do not count CNS values in this example we can use the system extremely long. Imagine the diver takes a 5 liter bottle filled with 100% oxygen @ 200 bar. He has 5 x 200 = 1000 liter oxygen. When using 0.8 liter per minute he can dive 1000 / 0.8 = 1250 minutes = more then 20 hours! The scrubber, decompression obligation and CNS limits will force him to leave much earlier. Dive times of 3 hours are realistic although the diver has to carry a lot of bailout gas! 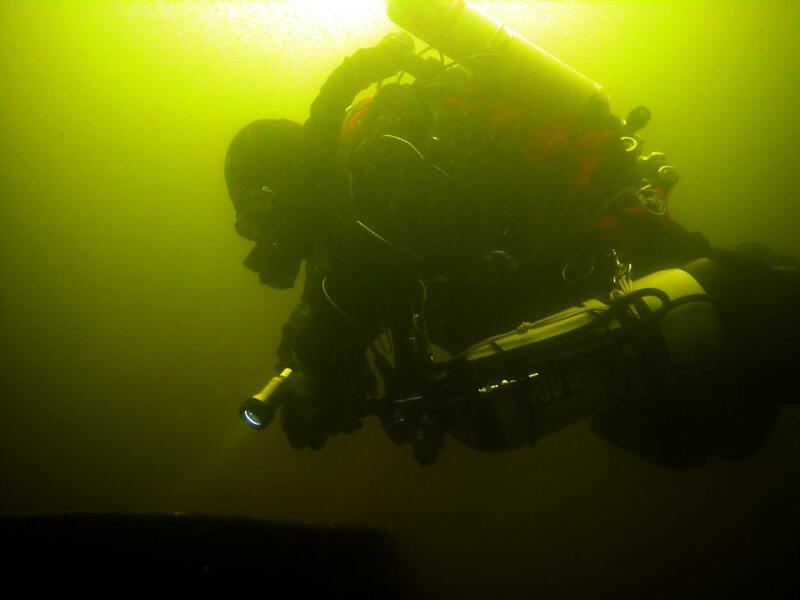 How deep can we dive using a MCCR? 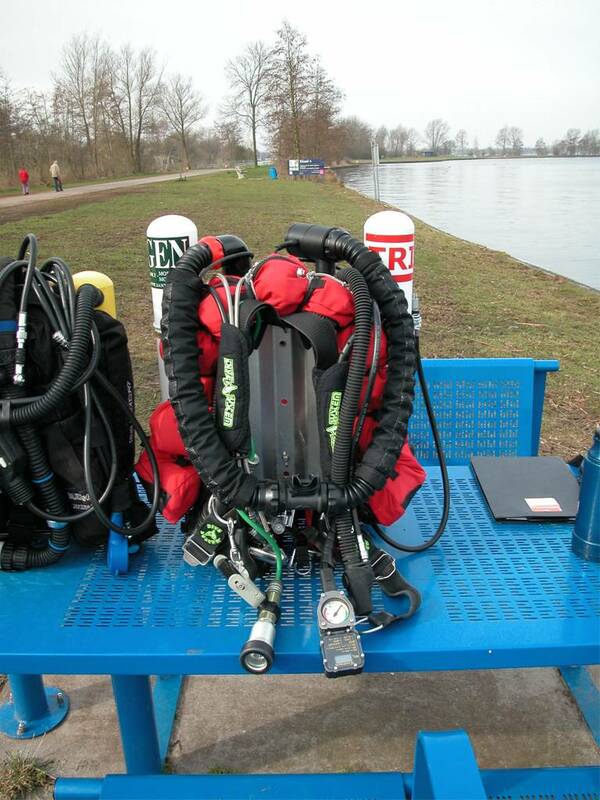 The rebreather based on manually addition has no depth limit. Point is that the gas flow will stop at a certain depth, but oxygen can always be added manually. Of course the pressure from the first stage regulator has to be higher than the ambient pressure! When using an IP of 14 bar to the CMF valve the possibility of gas addition stops at 130 meters. The CMF valve itself has technical specifications. These specifications are related to many parameters, but the main factor is that the valve needs to be pressurised with a fixed pressure that is not changing with the depth. So you need to modify the first stage that feeds the CMF valve! You need to modify the first stage in such a way that the pressure is constant, not changing with depth! In the valve there is a very small hole for example 0.08 mm that gives a constant mass flow when the pressure on the supply side is double (minimal) compared to the ambient pressure. So when we want this 0.8 bar flow at 60 meter, we need an intermediate pressure of 14 bar! To calculate the exact flow through the nozzle I have found the formulas which are available through This page; Another page can be found here. What happens when we go deeper? 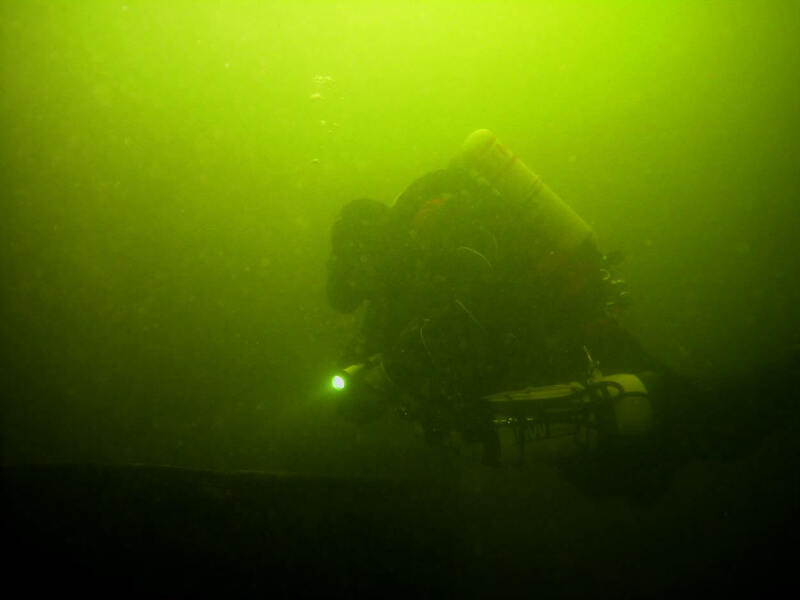 The flow decreases very slowly in the beginning and the diver has to add oxygen manually more often. When the ambient pressure is near the IP pressure (absolute!) the flow will fall and finally stop. 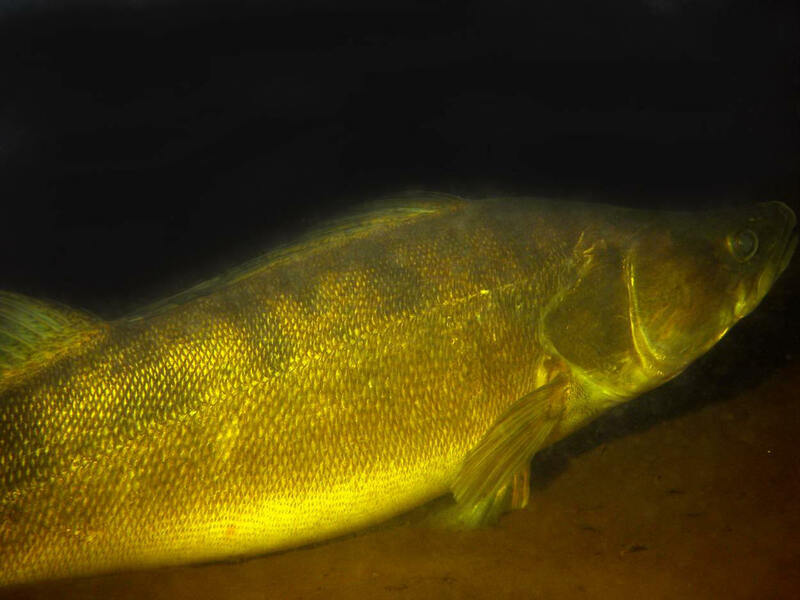 On this page you will find detailed information about the flow behaviour. 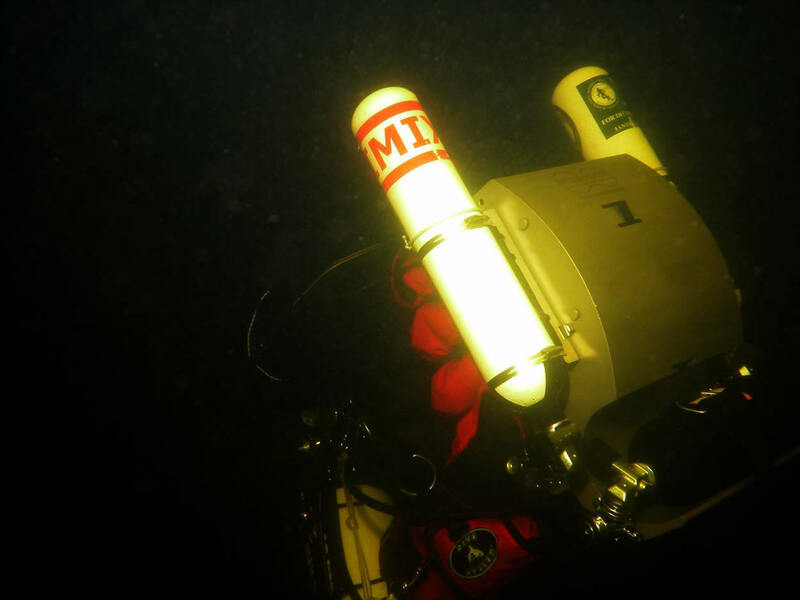 Most important when using a MCCR is being able to calibrate the oxygen flow, and to measure the pO2 in real time. Using only one cell is commonly accepted as not smart. Using two cells for measuring the pO2 is better but using three cells offers voting logic and the bad cell can be recognised. It is most important to use this rule: ALWAYS KNOW YOUR pO2 ! 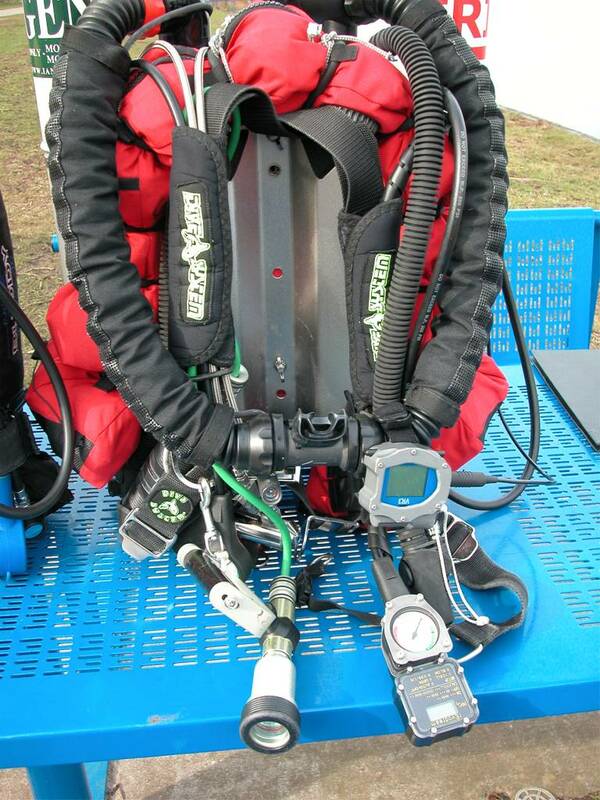 !Before diving, the rebreather has to be pre-breathed during 3 minutes to start the chemical process. There are scrubber limitations. When using the Dolphin scrubber never dive longer then 180 minutes. When diving deeper then 50 meters use 140 minutes dive time for a maximum. In very cold water a maximum of two hours should be used. Replace the Absorbent after 3 hours of use! These figures are based on practical experiences and have no scientific backgrounds! 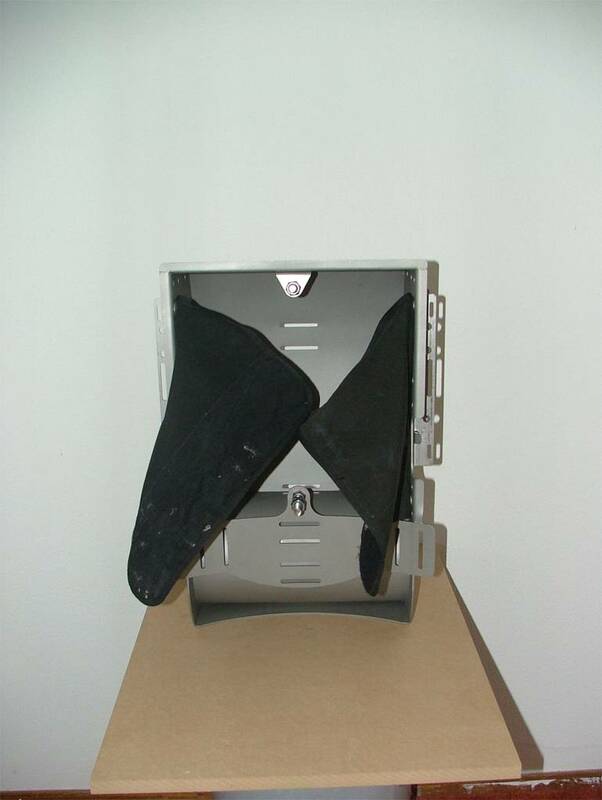 Lifetime of the scrubber depends on temperature, CO2 production, shape of the scrubber, mesh of the Absorbent etc etc. 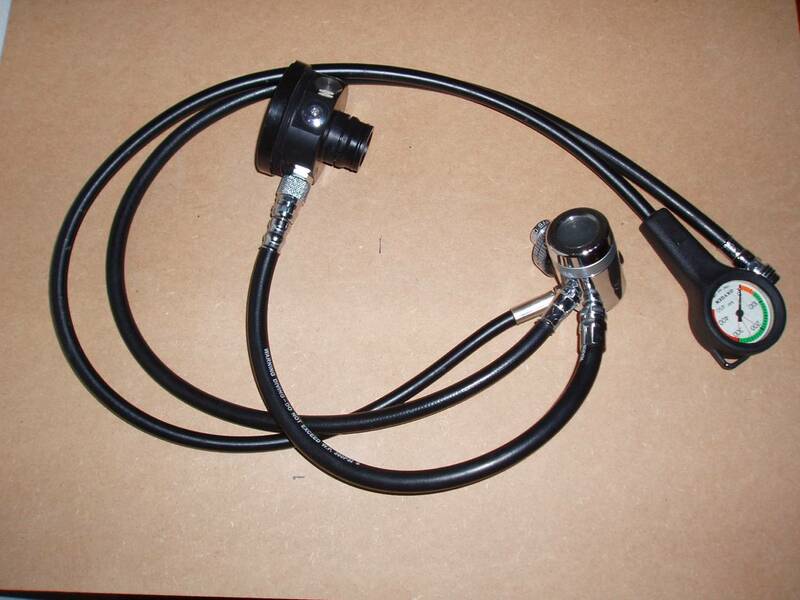 When diving a MCCR you should be able to flush the loop manually. When the system is depending on a lung operated diluent valve (usually the nozzle holder attached to the counterlung of the Dolphin is the input of the diluent) some risks are involved. When the oxygen level is unexpectedly high you have to switch to OC and do not have the means to flush the partial oxygen pressure down. A manual addition valve offers this facility. When choosing your diluent please keep in mind you must be able to flush the pO2 down. Recently I had the opportunity to dive with Remco Neuteboom. 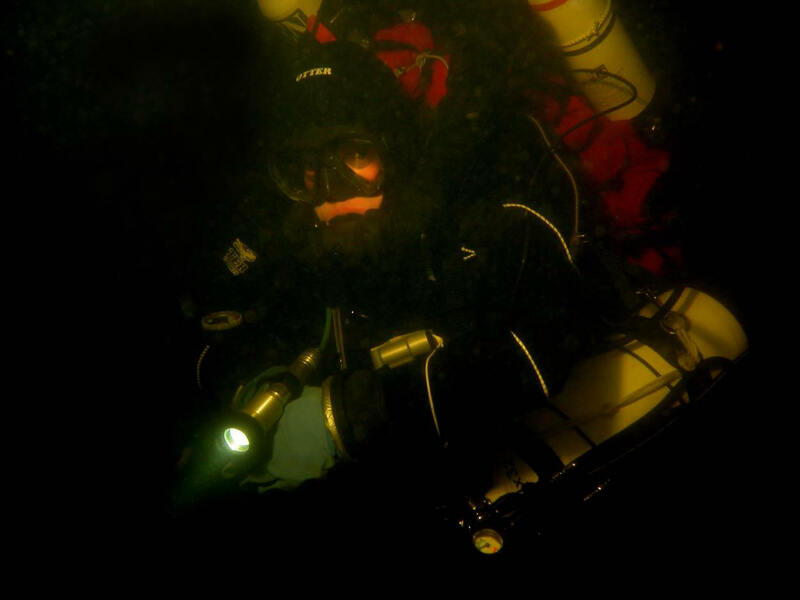 Remco started diving in 1993 and finished his SSI open water in 1994. He then stopped for several years and found his new hobby in mountain biking. He soon understood that diving was a better hobby ;) and restarted his career in 2000. After finishing his Rescue Padi license and Padi DSAT course he started to use other gas than air. 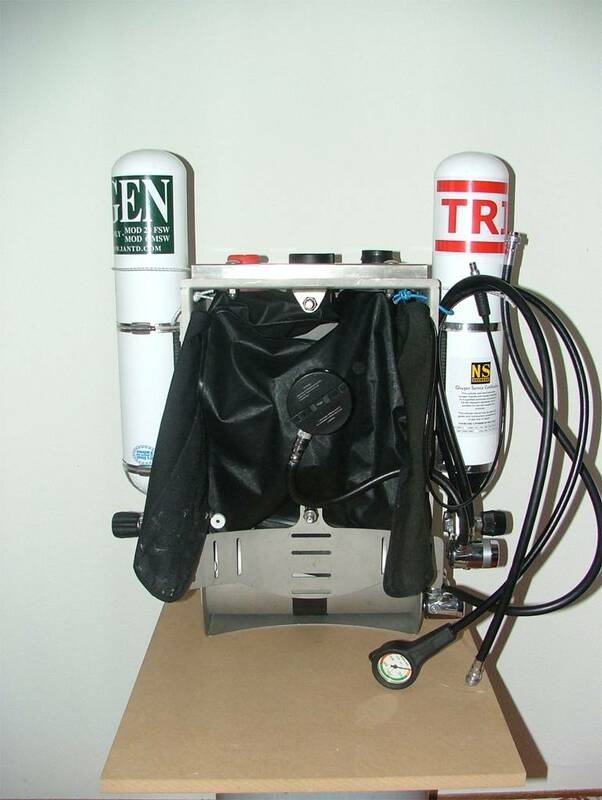 Finishing IANTD Nitrox advanced and recreational trimix he decided to buy a semi-closed rebreather, a Dolphin. Remco dived his unit for over 100 hours and it took a lot of study and thinking to decide to switch to closed circuit diving. Now his dolphin is hard to recognise. 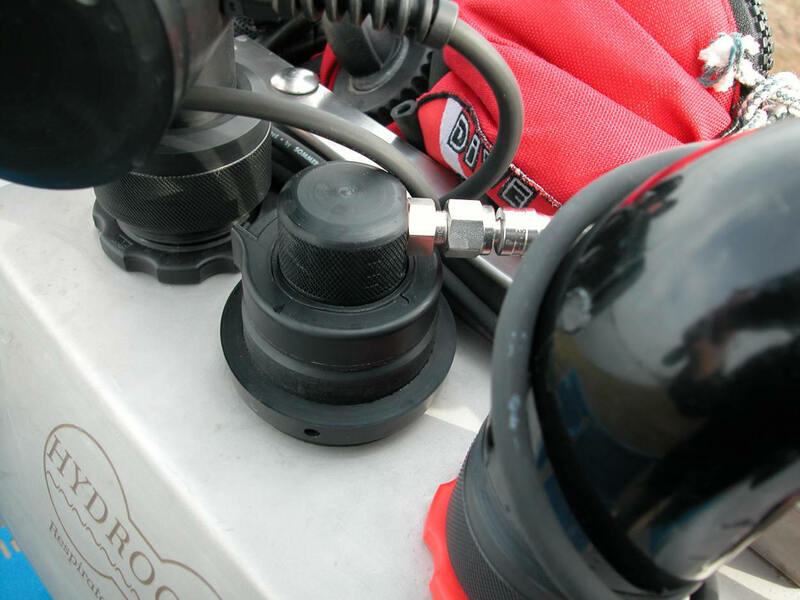 A Hydrogom shell, rEvodream readout, Hydrogom CMF valve and VR3 for real time decompression. Please read about the construction en considerations here. Please enjoy the article. 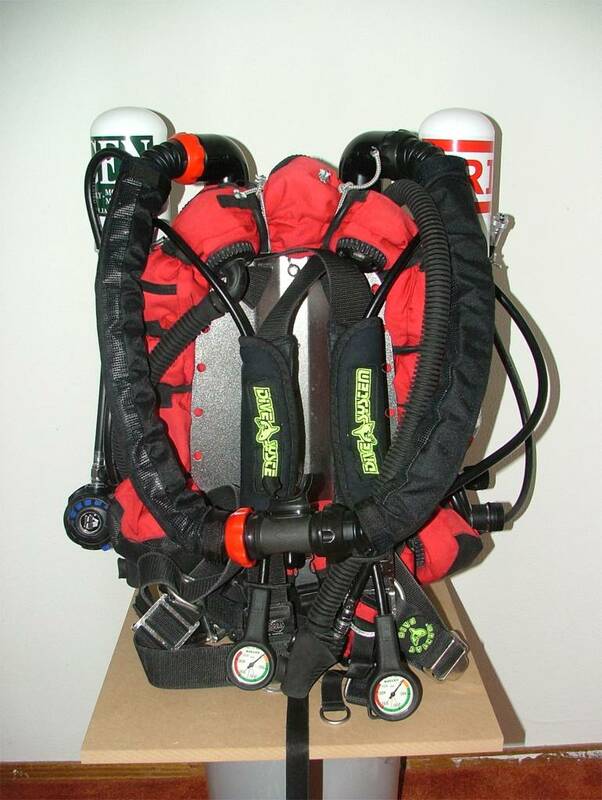 Stay at Open Circuit or switch to a rebreather ? At a certain point in time, the question arises, should I stay with Open Circuit diving equipment or should I take the plunge and switch to a rebreather? 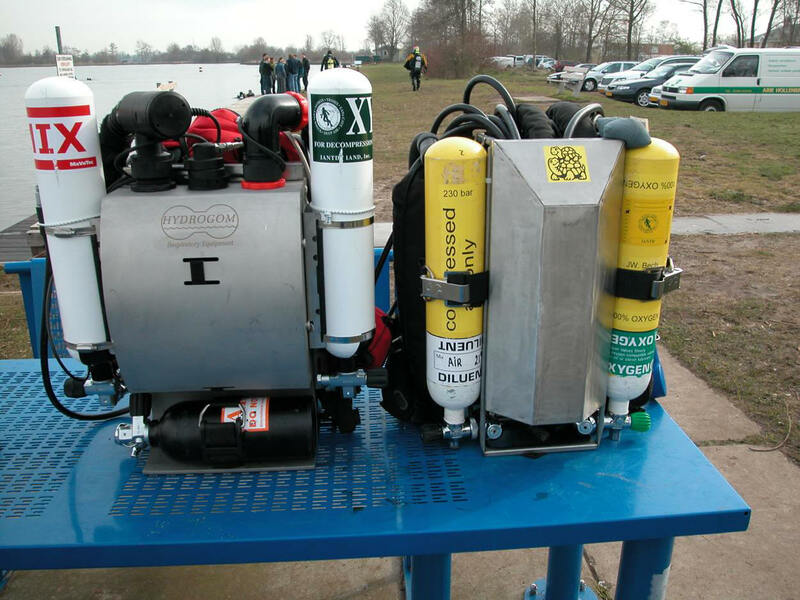 There were a number of divers in my diving club already diving with rebreathers, so I was able to call upon their experience and expertise with regards to this decision. 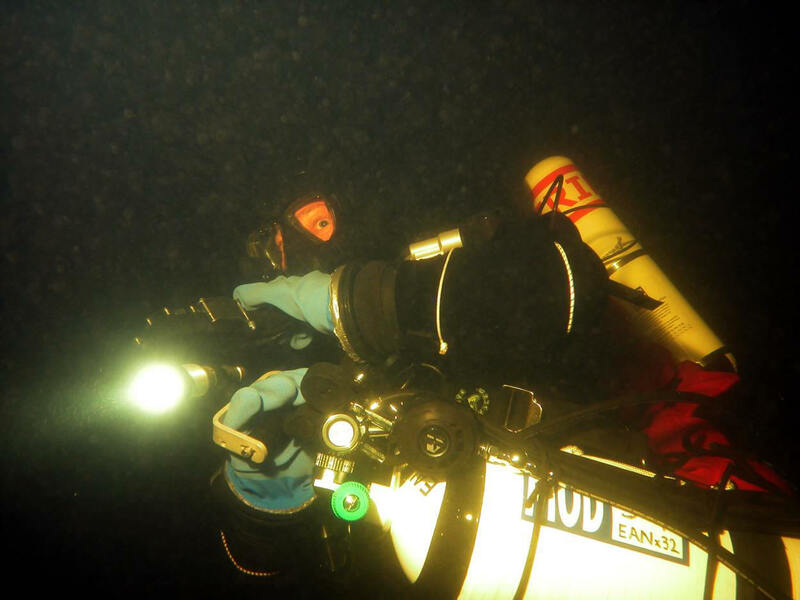 After considering the pros and cons of diving with a rebreather, I decided that diving with a rebreather presented me with a new challenge and at the same time a number of benefits. SCR, ECCR or MCCR ? This was the next choice to make. In my opinion mixing electronics and water is not a good combination. I decided that I did not want any unnecessary electronics in the system. Therefore, I decided in the first instance that I would not choose an ECCR. So therefore a MCCR was the most logical choice for me. Furthermore because there is a nice easy progression path from a SCR (Dolphin) to an MCCR (Kiss-style), I decided to start with a SCR (Dolphin) rebreather and upgrade this at a later stage to an MCCR. The second choice I had to make was; Should I buy an original Dräger Dolphin and modify this later to a MCCR or start directly with a custom-built SCR? After performing some calculations I came to the conclusion that building a new custom SCR based on new components costs a little bit more than buying a new Dräger Dolphin. However the possibility of building a nice unique unit, to my own specification and preferences with more possibilities than the original Dolphin, the choice was easily made. I decided to build a custom SCR based on a Dräger Dolphin loop and a shell from Hydrogom. Hydrogom shell with the bolts for mounting the back plate. Adding a tanks (3 liter) on both sides. One for the inspired gas and one bailout. And adding the first stage and the bypass with the nozzles (here the unit is still in semi-closed modus!). Adding elbows ( Tecme.de ) and the breathing hose with the mouthpiece. 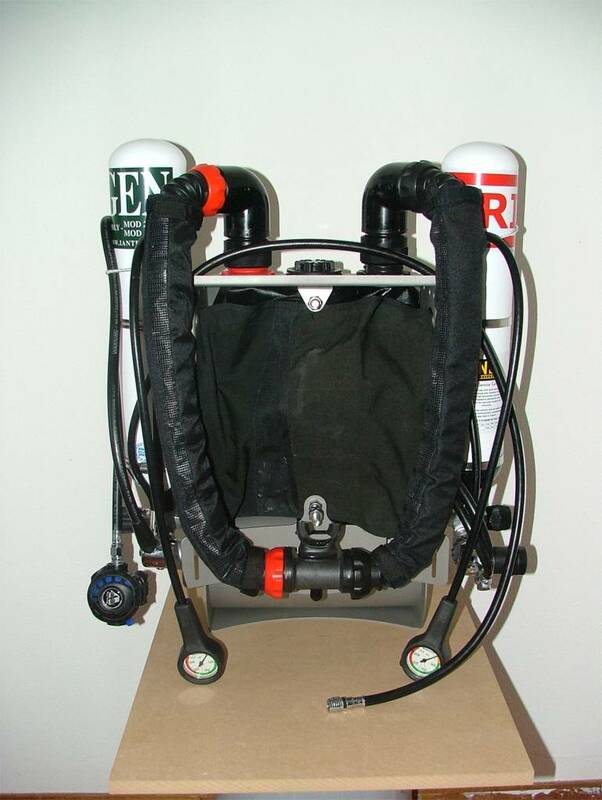 Wing and backplate are attached to get a perfect semi-closed rebreather! After more than 100 hours of diving the SCR using nitrox and trimix mixtures I decided that the time was right to upgrade my SCR to MCCR. This meant I would have to look for a CMF-valve and a second or maybe third PO2 monitor. 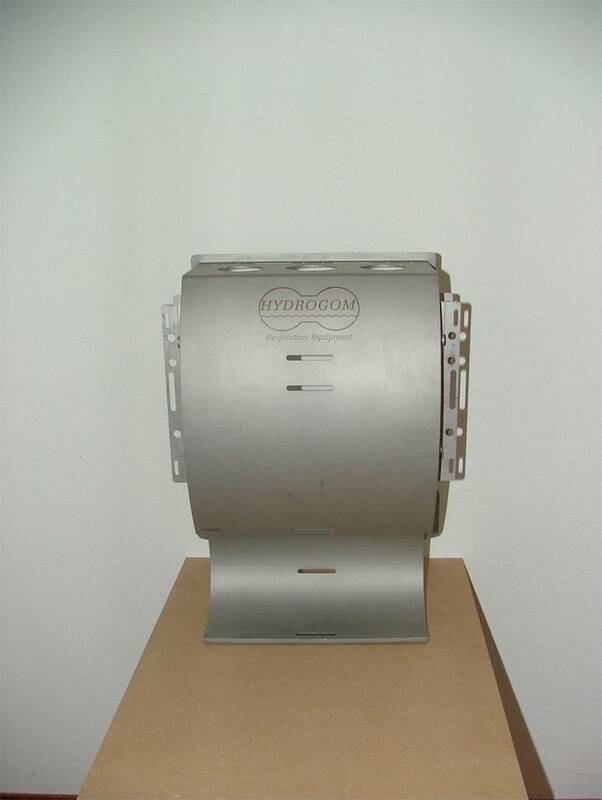 The first was very simple, this would of course be the CMF valve from Hydrogom. A brand-new model with a steal orifice cut by a laser instead of a ruby. More challenging, was extra PO2 monitor! After a survey of existing PO2 monitors I realized that there was not a nice solution on the market that matched my requirements. So I started to develop a new PO2 monitor system. But whilst making the first rough design the solution presented itself. “The rEvodream”. A very nice PO2 monitor mounted on one of the pressure gauges and with a HUD. So I stopped my own development and ordered a rEvodream. Problem solved! Adding the elbows, cell holder (Tecme.de) and the first stage (Modified Apeks DS4 with fixed I.P. 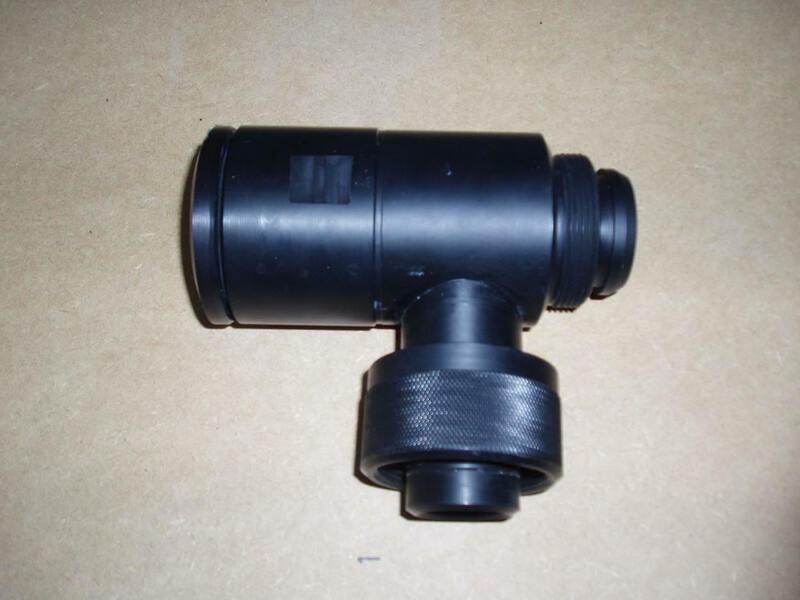 ), cmf-valve( Hydrogom ) for the oxygen. The Revodream is available now. 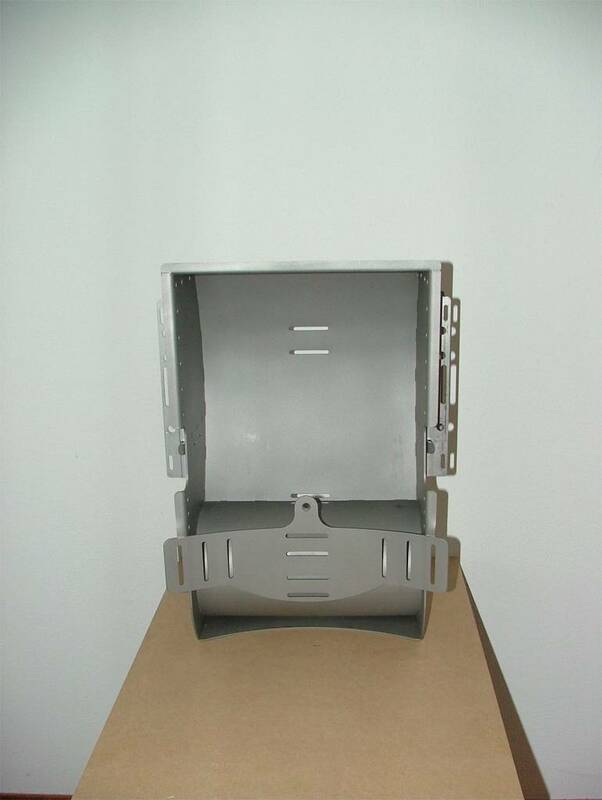 This measuring device offers facilities to calibrate and measure pO2 values by using two cells. Additional technical information will follow soon. The device functions without external switches, but uses a switch that is inside and is activated by knocking on the meter. The Revodream comes with a Head up display that is included in the package! Here is the rebuild unit in MCCR configuration. 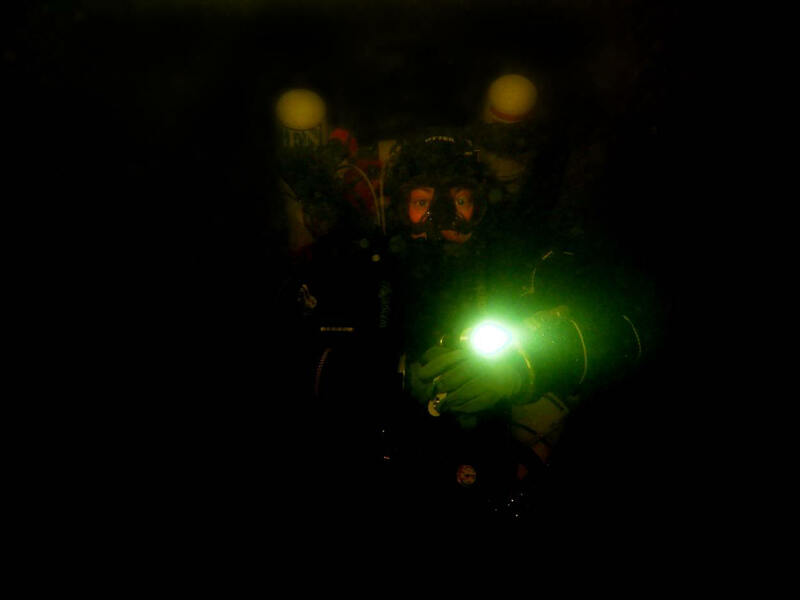 Remco and I made a dive on Saturday 15 April 2006, during 46 minutes. MDD was 32 meter and we both eat 70 OTU's! The water was a fine 7 degrees and we even met a couple of fish. 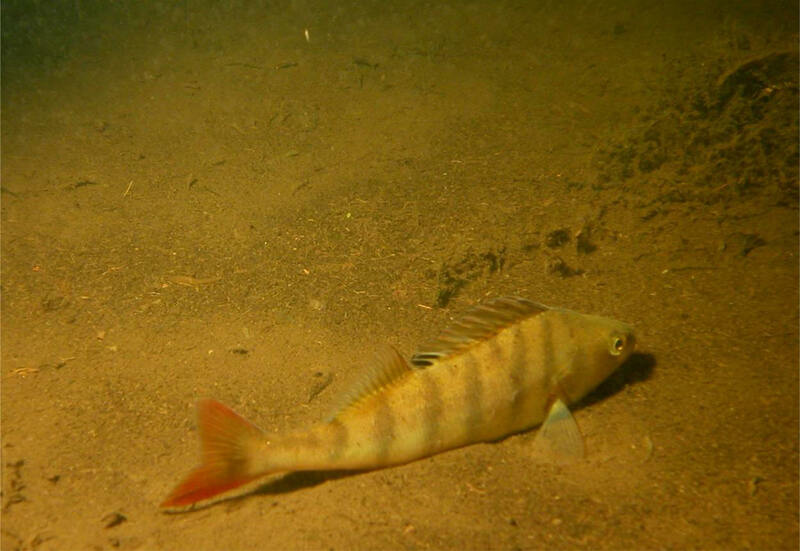 The dive was in the well-known place called Vinkeveen in Holland. I took my Inspiration in Travelframe and put it beside Remco's unit to compare the size. Here are the pictures. I hope you enjoyed this page! I would like to thank Remco Neuteboom for his kind cooperation, and hope to be able to dive with him again! Oosthuizen, The Netherlands, 22 April 2006.